My first curated show was at Tom Christoffersen in Copenhagen, and since then I have curated shows at Kunsten in Aalborg, Munkeruphus and Heerup Museum. Between September 2017 and Februar 2018 I curated a large exhibition at J.F. 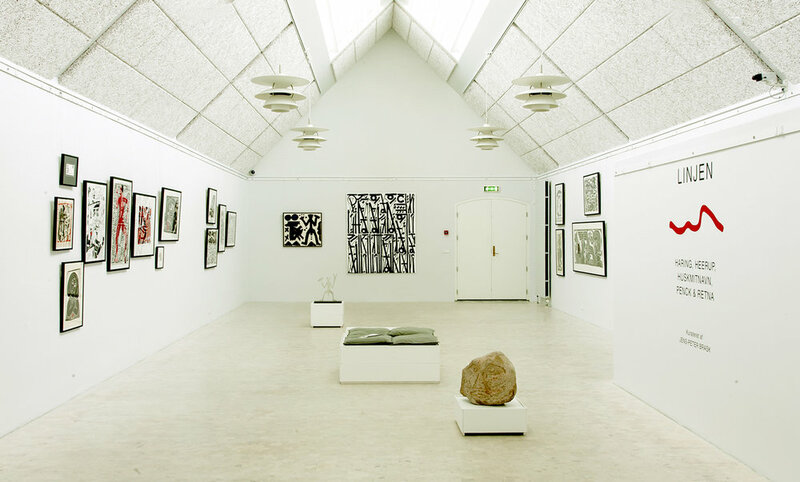 Willumsens Museum in Frederikssund called: "The Brask Collection meets Willumsen". From Oktober 12th, 2018 I have an exhibition with Julian Schnabel at ARoS. Just like in other working context, I'm learning by doing. As a curator I have no education and no prerequisites. I just do it. I often chose artists who are young, talented and interesting. People that needs an ekstra push and an exhibition. I curate the art intuitively according to what I like and what I fell will work. That approach applies to anything from my graffiti shows to "Et Brask Spark" at Munkeruphus, from group shows with Danish artists in New York to group exhibitions at galleries in Copenhagen and Aarhus. 2019. Victor Ash mural at The Plant, Cph. 2016. UNtitled. Group show. Jacob Bjørn Galleri. 2016. Zane Lewis. Gether Contemporary. 2016. Linjen feat. K. Haring, A.R. Penck, Retna & Husk Mit Navn. Heerup Museum. 2016. Nicky Sparre-Ulrich & Kaare Sebastian Golles. Galleri Tom Christoffersen. 2015. Media. Group show. Jacob Bjørn Galleri. 2014. Et Brask Spark. Munkeruphus Museum. 2013. Blue Bottle Coffee. Group show. Martin Asbæk Gallery. 2013. News from New York. Group show. Galleri Tom Christoffersen. 2013. Dan Schein. Galleri Brandstrup. 2013. Dansk Graffiti 1984-2013. KUNSTEN Museum of Modern Art. 2012. An Øje @Thehole. The Hole Gallery New York. 2011. Washed up and Bleached out. Group show. Galleri Tom Christoffersen. I always strive to also have several side projects going on outside exhibition halls and museums. In 2018 I've curated several murals in Copenhagen NV and Copenhagen N with artists like Kenny Scharf and Boykong . Earlier I've curated three Retna murals paintings, launched a tunnel/graffiti project in Copenhagen during the summer of 2017 and curated 8 different murals on Rentemestervej in Copenhagen, Nordvest with international and Danish artists.